Ossur's Mauch® Knee and Mauch® Knee Plus have a great new look with a tough aluminum frame and mechanical extension stop, making them the most durable and secure knees available. Enhanced features improve durability and provide more security for amputees of any activity level. Increased weight limit to 300 lb. Proximal and distal male titanium pyramids. Weight limit of 365 lb. Flexible proximal and distal adapter options; threaded or through-hole. Why sacrifice your patients for profit? OPTECs new VertaMax offers maximum support, quality, and profit. The VertaMax orthosis is designed to support your patients at every stage of recovery. The breathable, highly consistent elastic material provides 50 percent more compression than those conventionally used to increase lumbar containment. 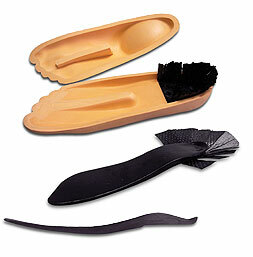 VertaMax features front and back moldable polymer panels, a unique closure system for maximum compression, and arthritic grips for ease of donning and doffing. Detachable polymer panels can be removed as the patient progresses in rehabilitation. The VertaMaxs sizing system includes five unisex sizes ranging from a 22½- to a 60½-in. waist with neutral or pendulous abdomen. SPS now has the new LimbLogicTM VS from Ohio Willow Wood on its shelves and is available for immediate delivery. As the first water-resistant system on the market, the LimbLogic VS represents signifcant design advancement in vacuum technology. The streamlined system features a lightweight (210g, four-hole housing) and quiet design with "Set It and Forget It" technology. 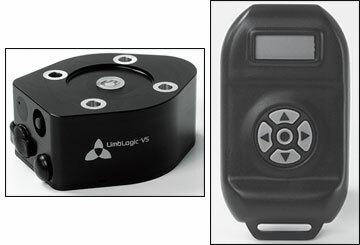 Smart leak detection notifies users of leaks and limits pump operations. Visit booth #T73 at the Academy meeting in Orlando, Florida, to view the LimbLogic VS. Advancing liner technology one step further, the new Iceross®Seal-In® is as close as we have come to complete prosthetic attachment, with the convenience of a simple step-in-and-go system. The new system for transtibial users applies pure suction but does not require an external sleeve, saving time and money. 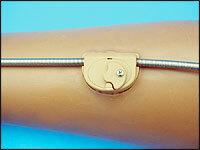 A proprietary design with five separate seals bridges between the residual limb and the internal socket wall. Unique seal design conforms and clings tightly, guaranteeing suspension, rotation control, and proprioception, while allowing for unprecedented knee freedom. The release button on the socket valve makes doffing simple. 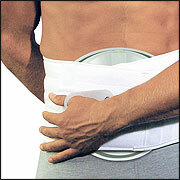 The Centri® Absolute Suspension Sleeve optimizes comfort, durability, and range of motion. The combination of Centri's extra-soft gel and Spectralon® fabric creates a comfortable yet durable fit for active lifestyles. 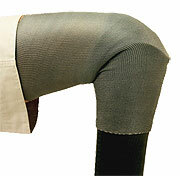 The preflexed design allows maximum range of motion and alleviates posterior milking when the knee is flexed. Available in six sizes and choice of beige or black. Spectralon fabric, reinforced at the knee. Allard USA has announced the latest addition to the carbon composite ToeOFF® family of products: BlueRockerTM in XS size. With a footplate length of just 8¼ in. and an anterior tibia plate length of 14 in., the XS will often fit children as young as age 7, womens shoe size down to 4, and male shoe size down to 6. BlueRocker is identical in shape and design to ToeOFF, but is considerably more rigid for use when added orthotic control is required. The extra stability will improve balance and posture and give the wearer greater security. Designed with ease of fabrication in mind, the Camber Axis TechnicTM is a cost-effective, durable, free-motion ankle joint based on the proven technology of the Camber Axis Hinge®. Compared to fabricating plastic "overlap" ankle joints, the pre-contoured, stainless steel Technic reduces labor time and material costs by providing a prefabricated ankle joint that is easy to install. Low-profile, stainless steel cambered hinges match the contours and co-axial alignment of the anatomical ankle joint and provide strength and stability. The Technic, intended for youth and adult patients, is available in one size with an optional black, non-corrosive finish. The SmartIP adjusts to the optimum function as it automatically detects what is happening during the gait cycle. At any time, the wearer can activate the knee and reprogram it to suit specific activities and environments. Friddle's Orthopedic Appliances continues its innovative reputation with the introduction of its new variable-speed router, which is tailored to meet the specific demands of the orthotics and prosthetics industry. Exacting engineering, superior materials, and expert craftsmanship make this tool a pleasure to operate. Heavy-duty ¾ horsepower, stainless steel, dust-free A.C. motor with 115 volt 50/60 Hz 1 ph input. 15-in. shaft with ½-13 threads, which is compatible with TrautmanTM and Rout-Man carvers. Task lamp with adjustable arm. Complete set of urethane arbors. FLO-TECH has added a seventh, new size of APOPPS FLO-TECH-TORTM for your larger amputee - 3XL. It is now available without "custom" fees. The foundation for a good prosthesis starts with a FLO-TECH-TOR for protective, immediate post-op, and early weight bearing prosthetic management of transtibial amputations. Measurements for the 3XL FLO-TECH-TOR are 21 to 22 in. for MPT; 20 to 21 in. for distal; and 19 to 23 in. for range. Dynamic Walk is a dynamic AFO made of lightweight thermoformable TFC, carbon-fiber composite, and double-sided PEEK rods that provide strength and flexibility. The Dynamic Walk M-L rod design and PEEK material allows patients to drive vehicles and climb stairs with stable, free movement and a constant lifting of the foot. Visit booth #213 at the Academy meeting to see live demonstrations. Fits easily into regular shoes. No matter the terrain, Endolite's new Esprit® Foot can handle it. The lightweight, low-profile foot is designed for active walkers with a variety of cadences and styles. The independent heel-and-toe design responds and adapts to all types of terrain, absorbing shock and increasing comfort, and Esprit's tripod design is built for superior ground compliance. 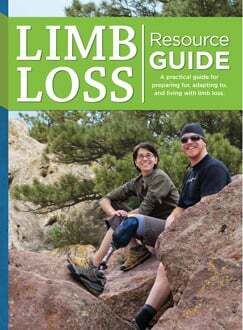 The tripod system enhances ramp and turning abilities while providing added limb stability. The foot provides soft rollover with excellent energy return, shock absorption, and forward progression. A foot shell and glide sock is included. Receive 10 percent off the purchase price of all SPS purchase orders dated March 1, through May 31, 2008, for the QuikDrawTM with Rigid Anterior Panel (RAP). The QuikDraw with RAP by Aspen Medical Products is designed to quickly restore functional mobility by providing powerful compression for immediate pain relief. When partnered with a RAP, the QuikDraw will help lead to quick and lasting pain relief. With just a few sizes that correspond directly to mens or womens clothing sizes, the QuikDraw reduces inventory requirements while simplifying the fitting process. Did you know that Becker Oregon offers traditional thermoplastic and metal and leather AFOs and KAFOs? Highest standards of workmanship and unsurpassed service. Consider Becker Oregon for your next custom orthosis. Receive 10 percent off the purchase price of an Air-Lock or Small Air-Lock by Coyote Design when you place your purchase order through SPS between February 1 and March 31, 2008. The waterproof and lightweight Air-Lock and Small Air-Lock are ideal for single lamination fabrications and applicable for amputees of all activity levels. The durable and long-lasting Acytel pin construction is a self-lubricating material that does not wear with friction or rubbing. The Air-Lock is rated to 120kg in laminated sockets and 100kg in definitive thermoformed sockets. The Small Air-Lock is rated to 100kg in laminated sockets. The new AK liner from ALPS offers an unparalleled combination of the softness, strength, and elasticity found in the Alps EasyGel with the comfort and durability wearers expect - at a price everyone will like. New gel liner for transfemoral and active BK amputees. 80 percent less vertical stretch than other Alps gel liners. Distal end wider to ease donning and displace pressures from pistoning. One-year warranty; two-year on two liners. Advance Footwear encompasses a complete range of footwear from the new Advance Walking Comfort Footwear line to the original Advance Orthopedic and Advance Comfort Footwear lines. SoleTech has engineered these innovative shoes to offer features and benefits that are unequaled-depth, roominess, and style. Advance Walking Comfort Footwear features an incomparable level of comfort, while the styling rivals that of today's best walking and comfort shoe brands. When your patient is looking for the best combination of athletic styling and comfort, Advance Walking Comfort Footwear can meet all of your needs. Matthew Dobbs, MD, designed this new dynamic clubfoot bar to allow active movement, preserve muscle strength in the foot and ankle, and be less restrictive to the child than traditional fixed-bars. Children using the Dobbs Bar can crawl and kick their legs independently. Children will sleep better because they can get comfortable in the Dobbs Bar, and heel blisters commonly associated with fixed-bars are no longer a problem. The Dobbs Bar is completely adjustable from 8 to 14 inches to accommodate growth; no need to buy replacement bars. The foot plates are universal and can be attached to shoes and AFOs. The results are better compliance, a more active child, and happier parents. 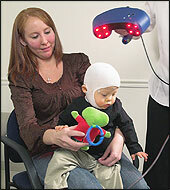 New cranial functionality is available in OMEGA® Tracer® version 10.5. Using the OMEGA Scanner, clinicians can easily and safely scan childrens craniums for the creation of cranial remolding orthoses. Recently designated as a Class 1 laser device, the OMEGA Scanner is faster than casting for cranials and less traumatic for young patients. Clinicians may choose to modify the electronically captured cranium shape using OMEGA Tracer software or to leave it unmodified. Becker Orthopedic, the official OMEGA partner for cranial remolding orthosis fabrication, accepts either type of shape file. Contact us for a free in-facility demonstration. The STS Company has developed a new water curable polyurethane resin for its 17- and 30-in. tubular fiberglass casting socks. This creamier resin will maintain the softness of the fiberglass sock, allowing it to be more easily unrolled. The new resin more closely resembles the properties of plaster but without the side effects of prolonged setup and mess, while its shelf-life has been increased to 18 months. The cure time is 2-3 minutes, and the finished negative impressions will be more rigid than the previous version. Negative molds are an ideal alternative to fiberglass rolls or plaster bandages, and the positive molds require less finish work with greater accuracy. SprayzoinTM is an easy-to-use, hands-free Tincture Benzoin Compound spray in a special spray vehicle. This non-aerosol, economical, antiseptic, and antipruritic spray toughens skin and increases adhesion of bandages without irritation. It is used by surgeons, orthopedists, orthotists, and prosthetists. 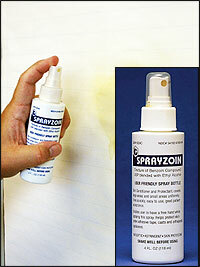 A cost-effective replacement to Aerozoin©, the low-cost spray comes in a shatterproof plastic bottle. Sprayzoin is available through wholesalers, distributors, and direct, as well as on GPO contracts. Don't wait. Call today to obtain free samples. 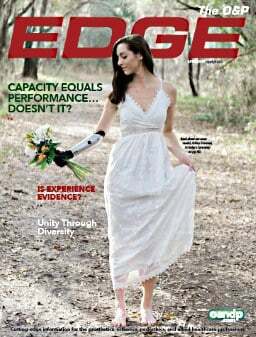 The Sure-LokTM is the world's first infinitely adjustable cable lock and retainer system for body-powered prostheses. This revolutionary technology mounts on the patient's voluntary opening (VO) or voluntary closing (VC) prosthesis. VO users can lock the cable to avoid damaging objects, and VC users no longer have to maintain cable tension to retain their grasp. ESP welcomes the AEGIS TF Liner, a transfemoral silicone liner, to its product line. The AEGIS TF is made with a new silicone formula that is soft yet tough and abrasion resistant. Its shape and thin profile are such that it may be retrofit into existing socket designs as a cost-effective alternative for above-knee amputees. Retrofit into existing socket designs. Made of soft, strong silicone. Flexible shuttle with locking liners. Compact, reliable, and easy to use, ESPs Lyn Valve RV SLIDETM suction socket valve with reliable auto-expulsion also features maintained, hands-free, open operation. Simply slide the operator button in any direction, and the valve stays open. Auto expulsion with ½ psi release pressure. Great for AK and BK applications. Audible "click" indicates manual operation. Click back to center to restore auto-expulsion function. High air flow with low noise venting in auto-expulsion and manual open modes. High-compression housing seal design for reliable socket installation. Install in any socket material. Dycor's ADL-LCD Lisfranc/Chopart Energy Returning Foot provides maximum flexibility and resiliency, strength of attachment, and anatomical support of hindfoot, with minimum weight (12.5 oz. with foot shell, 26cm med) and socket clearance (3/8 in. including foot shell). The forefoot is horizontally split into five segments to maintain the same degree of forefoot flexibility regardless of medial and lateral shift of the floor reaction. Integrated carbon fiber "tie-ins" around the heel portion of the keel are epoxied directly to the end of the socket, forming a stronger lap joint between the heel segment of the keel and the prosthetic socket. When a more natural alternative is needed for your BK patient, choose the ESP SoFlex silicone liner. The SoFlex liner was designed to be soft and lightweight without compromising the unique design and features found in all ESP liners. Made of pure, soft, lightweight silicone. Pre-flexed at 43 degrees for comfort and unrestricted range of motion. Locking liners available with the new flexible shuttle. "Fun With The ABC's" DVD from Little Horizons Inc. is an animated learning adventure embracingspecial needs children that delivers education through entertainment. Share the experience with your waiting room visitors. Little ones will love dancing and singing along to the fun music and rhymes as they journey through this visually exciting presentation. They will soar through the sky into outer space, visit the North Pole, explore the depths of the jungle, take a train ride into the Wild West, race off toward the finish line, or dive deep beneath the sea.